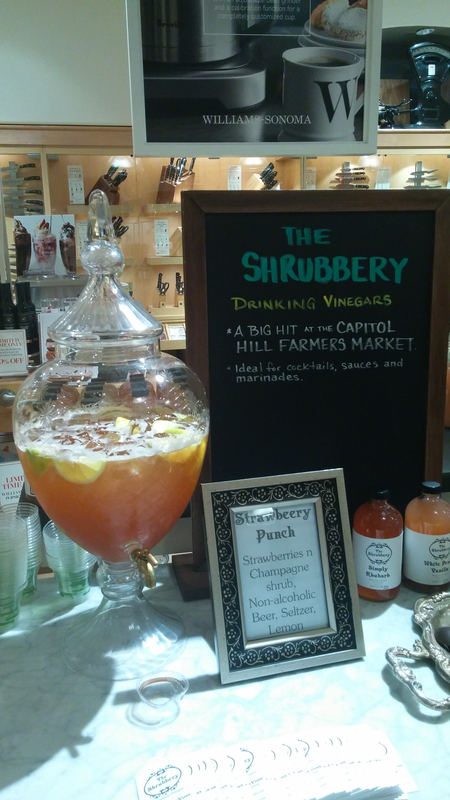 This month Putney Farm gave us our theme of Hometown Hooch. This might be one of the most fun MixMo’s for me, because I’m smack bang in the middle of about a squillion craft distillers and brewers. Which could actually have made this month really difficult for me. 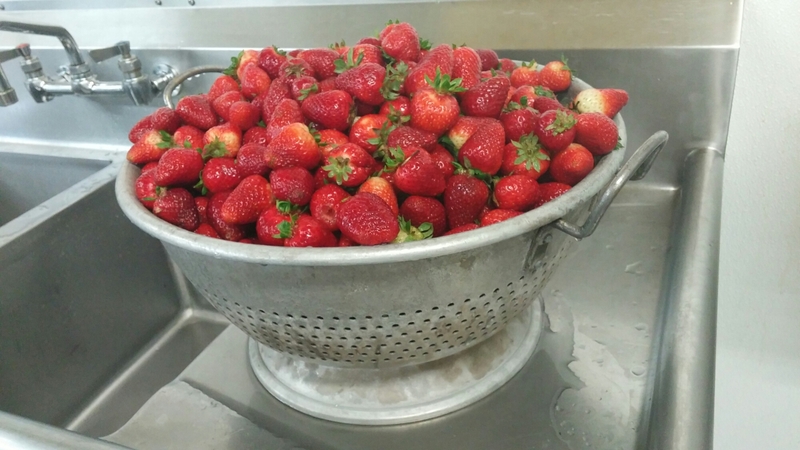 Luckily, strawberries came into season at the beginning of the month so I’ve been feeling very inspired by our new Strawberries N Champagne shrub. I mean, look at these berries! Can you blame me? When I’m coming up with cocktails for both this blog and the side of the bottles I’m nearly always incorporating local spirits, seltzers, tonic, bitters, sodas, and so on. I’m a small maker, and they’re a small maker, and as far as I’m concerned we need to stick together. I’m a bit of a care bear like that (only instead of light shooting from my tummy, I pour everyone a drink). I managed to limit myself to only 2 drinks this month, even though I had about 5 or so that I’ve been fiddling with. These are sharing cocktails, each recipe making more than one, which make them ideal for the warm weather that beckons us outside. I freely admit that I’m a fan of both word play and the double entendre. So, I may have slipped more than a few into the creation of this tasty tipple for two. There are 7 in total, but I’ll give you the first one free. The Wildrose is Seattle’s long running bar for women who love women. 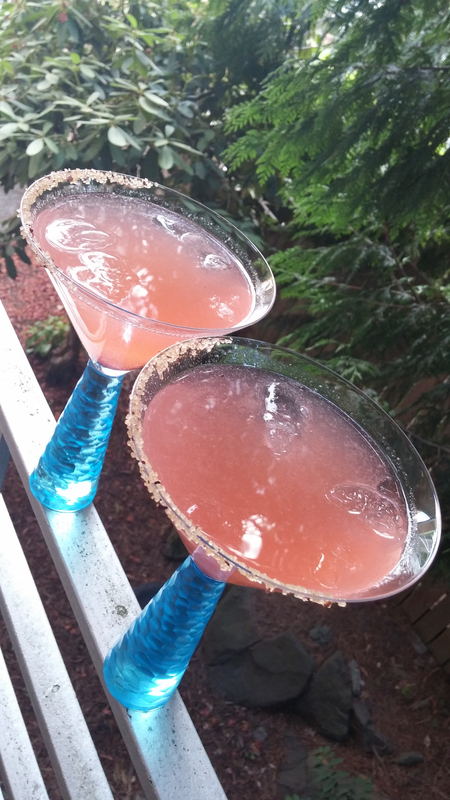 Moisten half the rim of two 6 ounce glasses with either gin or some lemon juice or a touch of rosewater, and roll in rose sugar (here I used the Rose Sugar by Libertine Tacoma). Pour everything but the Seltzer into a shaker with cracked ice, and shake until well chilled. Strain evenly into the prepared glasses, add fresh ice and top with the Seltzer. but the rosewater overpowered the scent of vinegar which can sometimes be present in shrub cocktails. Yummy gin forward cocktail with rich berry flavor and roses rounding out the sip. This gin is less juniper forward than others, and the strawberry shrub brings out the woody flavors while the rosewater adds a really nice sweetness. With the pinch of salt, the flavors are more unified and the overall flavor is less sweet. If you prefer your drink sweeter with the flavors a bit more differentiated, leave the salt out. When the weather is hot, and I am having friends over to BBQ or grill or just hang out, I like to serve punch. It’s refreshing, lower proof than cocktails, easy to put together, and delicious. 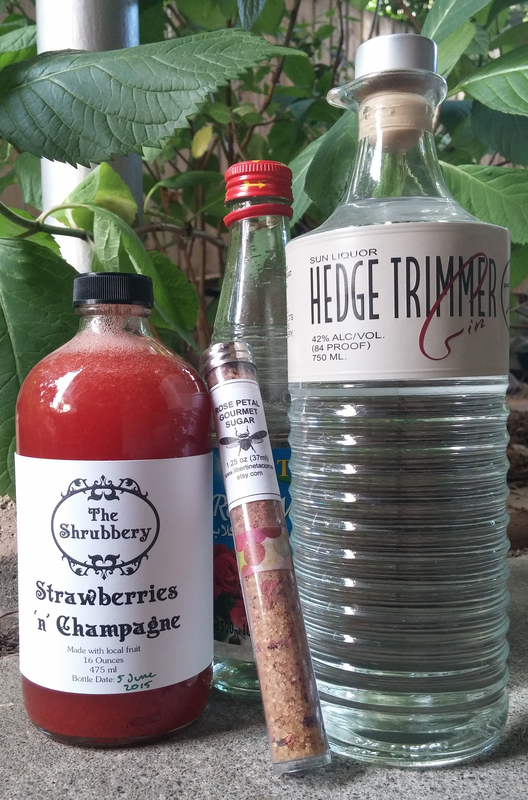 I started making beer based punches last year and I’ve found that shrubs are ideal in this application. The sweetness and the fruit plays well with the bitterness of the beer and manages to bring forward the floral notes of the hops. Plus, very few places are without at least one craft brewery, so access to good beer is available. The picture here is of a non-alcoholic version I made for a tasting event that wasn’t 21+, but I typically make this with Pike Brewery’s Naughty Nellie. Stir gently to combine and serve over ice. Should serve 4-6 people over the course of an afternoon of grilling.